Product management software company Productboard has raised $10 million in funding, according to TechCrunch. This round of funding adds to Productboard’s Series A in July 2018. Index Ventures led this round of funding. And Index general partner Jan Hammer is joining Productboard’s board. Previous investors Kleiner Perkins, Credo Ventures, Rockaway Capital, and Reflex Capital also participated in this round. Including this round, Productboard has raised $19.7 million. 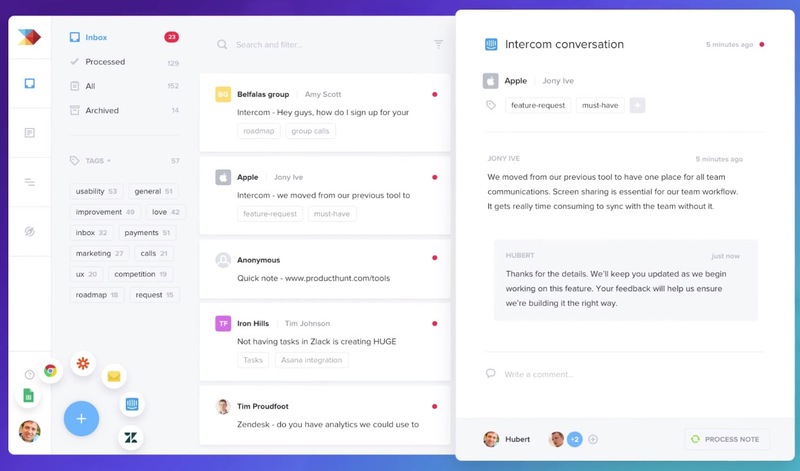 Founded by Hubert Palan and Daniel Hejl in 2014, Productboard’s cloud software platform bridges the gap between customer feedback, feature requests, and product roadmaps. Productboard is a useful alternative to email, spreadsheets, online presentations, and chat apps. “As competition in the digital space heats up, it takes only a couple of years for a great new product to dominate the market, [and] companies realize that their only way of survival is to deliver the right products to market faster than others,” said Palan via TechCrunch. “That is why Product management has been increasingly critical and growing role. What was once a job based on simply gathering customer requirements to send to engineering teams has become a much more strategic role, gaining more influence in the C-suite”. Productboard is now serving over 1,600 companies such as Envoy, Houzz, Macmillan, MetroMile, Zendesk, Avast, Unity, Twilio, SproutSocial, Avast, BambooHR, DellEMC, and ServiceMax. And Productboard’s customers range from e-commerce platforms, medical device manufacturers, news outlets, book publishers, etc. There are very few tools around product management even though it is a core function in every technology organization. Since competitors arise in months rather than years, customer loyalty is declining. So it has become more critical to get the right products to market faster. Productboard’s platform enables businesses to combine insights with execution. With Productboard, product managers to organize, prioritize, and plan feature ideas before adding them to a roadmap.